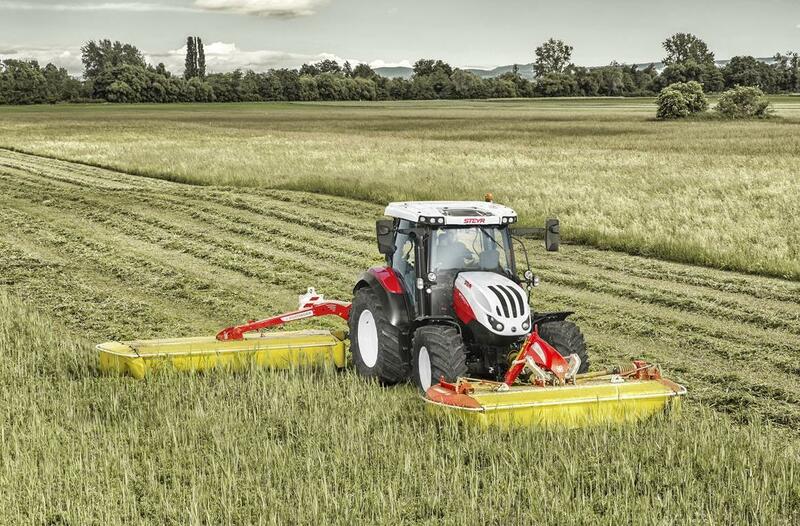 Steyr reckons that its new Expert range provides grassland and arable farms with a high performance, versatile and compact tractor. New Holland was the first of the three CNH Industrial-owned tractor manufacturers to show the new CVT tractor as the T5 Auto Command at EIMA last November. 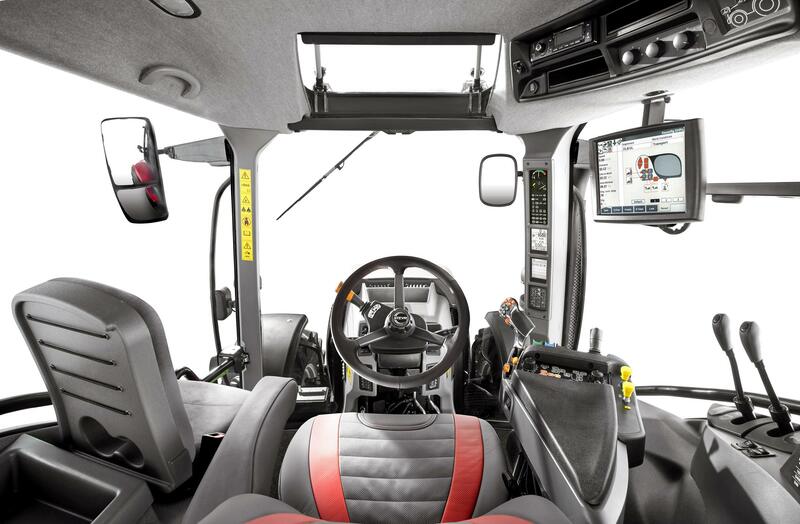 More recently, Case IH previewed the Versum CVXDrive at SIMA. Now it is the turn of Steyr to show its version. Unveiled at a dealer meeting near Salzburg in Austria last week, all four models are powered by 4.5-litre NEF Stage V FPT Industrial engines. The rated power is 100hp (4100), 110hp (4110), 120hp (4210) and 130hp (4130) and all four models offer a max curve of +10hp. All components of the after treatment system are contained in the compact all-in-one unit under the bonnet for improved operator visibility. Developed in-house, the maximum speed of the two range CVT of 40km/hr can be achieved at a reduced engine speed. Using double clutch technology, the transmission offers active hold control as standard for easy starting and stopping on sloping roads and fields. The transmission is managed by a new electronic controller, which says Steyr, not only provides quicker speed changes but also higher engine efficiency at all speeds. Other features of the new tractors include a four-pillar cab, 110l/min hydraulic pump and front axle and cab suspension. The Austrian tractor makers says that the Expert was engineered for frequent PTO work and is well suited to mowing and baling, light tillage, ground preparation and transport duties. There is a loader-ready option.